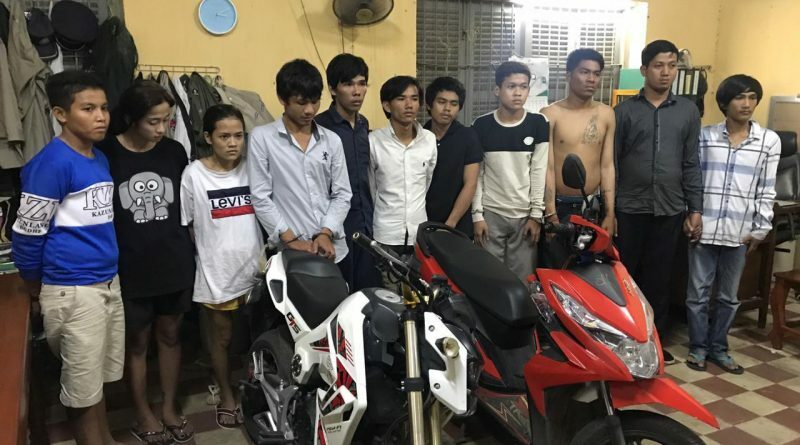 Phnom Penh: Police in Daun Penh district detained a series of suspects after a Chinese man was robbed and wounded at 8:10 pm, 17 January 2019, at 26A Street 154, Village 6, Sangkat Chey Chumneas. 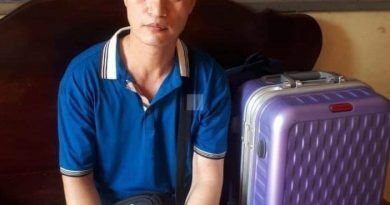 Before the incident, the victim, HU JINGMIN, a 62-year-old Chinese man, was walking with a bag on his shoulder when it was snatched and he was thrown to the ground. 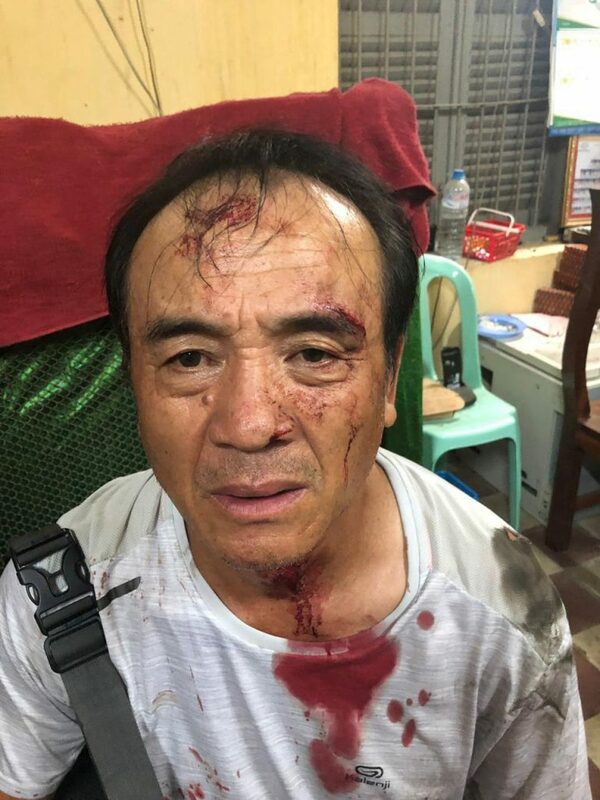 A suspect was tackled from the back of a motorcycle, while another suspect escaped. 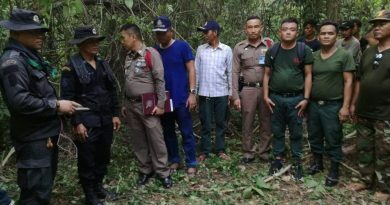 The youth was interrogated until 11:30 am the next day, when he gave up his accomplice, who was tracked down and arrested. 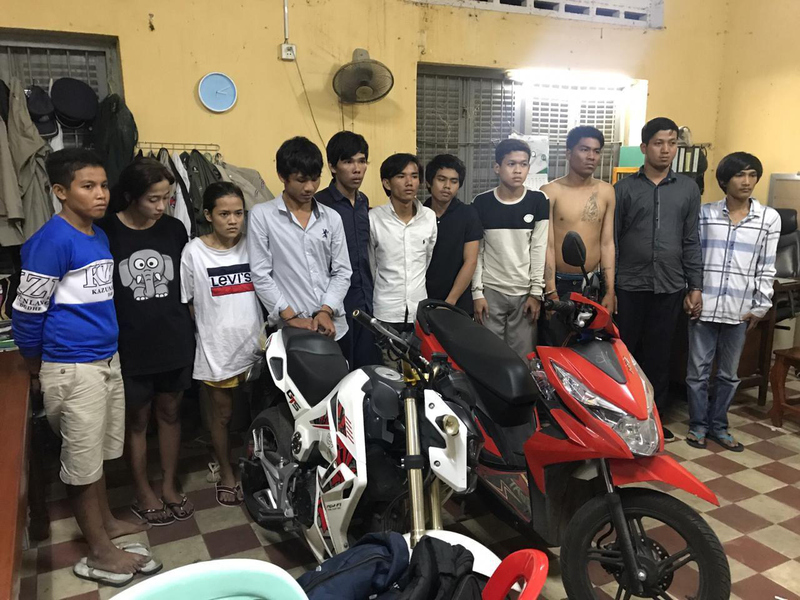 After further inquiries, a total of eleven suspects were detained, including six suspected members of a robbery gang and five drug users.